Nobody likes getting dunked on, but sometimes a posterization is so good that even the poor sap on the receiving end can’t help but smile. 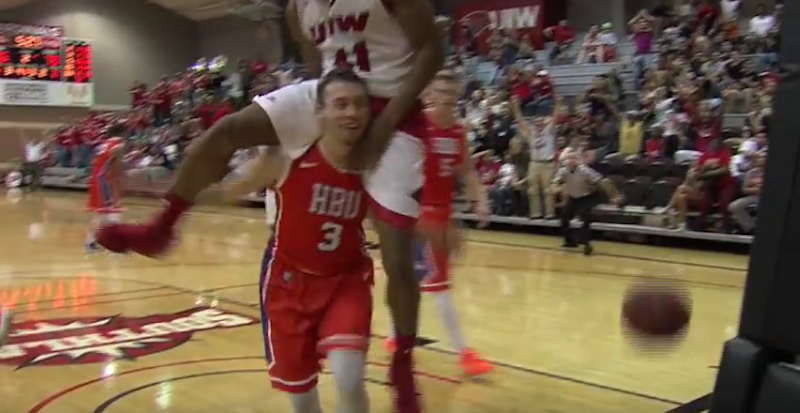 That’s exactly what happened during a game between University of the Incarnate Word and Houston Baptist, in which Incarnate Word sophomore Shawn Johnson threw one down on HBU’s Asa Cantwell, and then got himself a piggy-back ride from his victim. Let’s all try to be more like Asa Cantwell on this Monday morning.